After hearing from two different people* of a new winery literally down the road from my home, I decided two things: 1.) I don’t get out quite as much as people think I do and 2.) I needed to check it out. *One of which was my Gram, who rarely goes out. Our first trip to Iron Plow Vineyards was on a dark, Friday night in the fall. Despite being on a road I’d traveled plenty of times for work and life in general, we used Google maps to reach our destination. The announcement of “You have arrived” seemed rather odd considering there were no signs indicating we had indeed arrived and only a long driveway framed by drooping tree branches which blocked out its end. Yet, down this path we drove, assuming since this was a fairly new place, perhaps it would all make more sense once we encountered a physical building. The beautiful farmhouse we reached did not spell W-I-N-E-R-Y and there in some unknowing person’s driveway* we sat, bewildered and wondering whether we should bother the good people of this home in search of wine or if we should consult with Google again, who had already proven incredibly helpful thus far. **I’m pretty certain now that this home is the estate connected with the winery. It took only a pinch of problem solving to figure out the vineyards were right next to the mystery driveway. 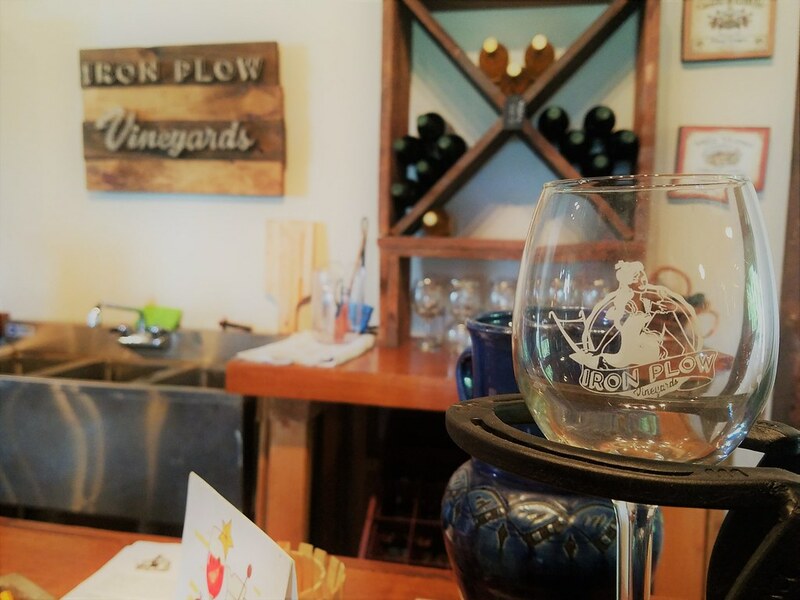 After an informative tasting, we snagged one of their wine barrel tables and sipped on a bottle of their Iron Plow Red while listening to live music. *This is also a reason I love wine festivals. 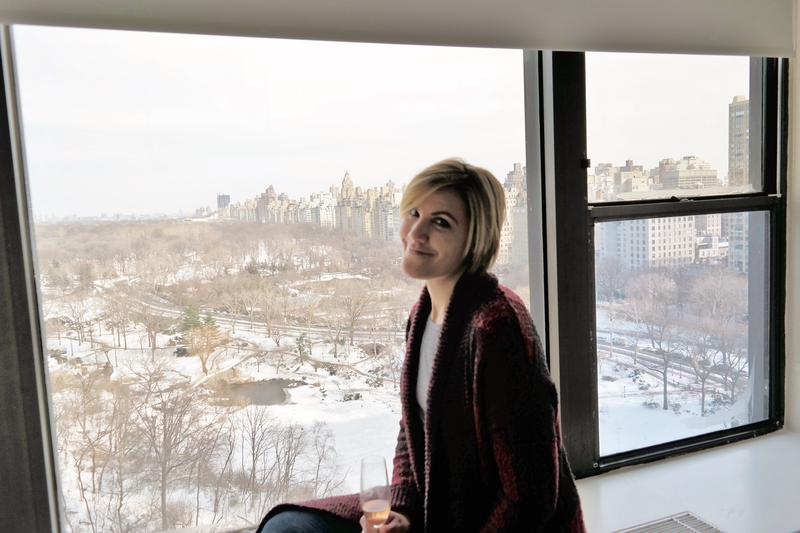 On our second visit, it was obvious in the few months passing from fall to spring, they had maintained a steady following of those coming to grab a table and a bottle of their favorite wine to sit back and relax with friends or family over. With everything they have going on in flavor and entertainment, it’s no wonder people are flocking there. 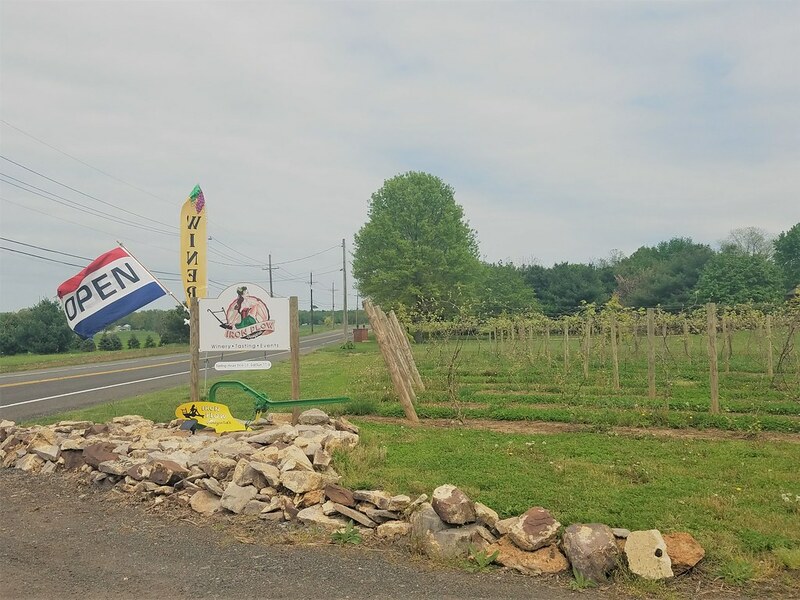 The live entertainment extends beyond only Friday nights, to inside and out; their wines are ever increasing, and they host wine & paint nights. And…how cool is this?…one of Hubby’s friends from high school made that awesome wooden sign. Check it out. Our first tasting, I left in love with their reds. We bought a bottle of their Cab Franc and Iron Plow Red. 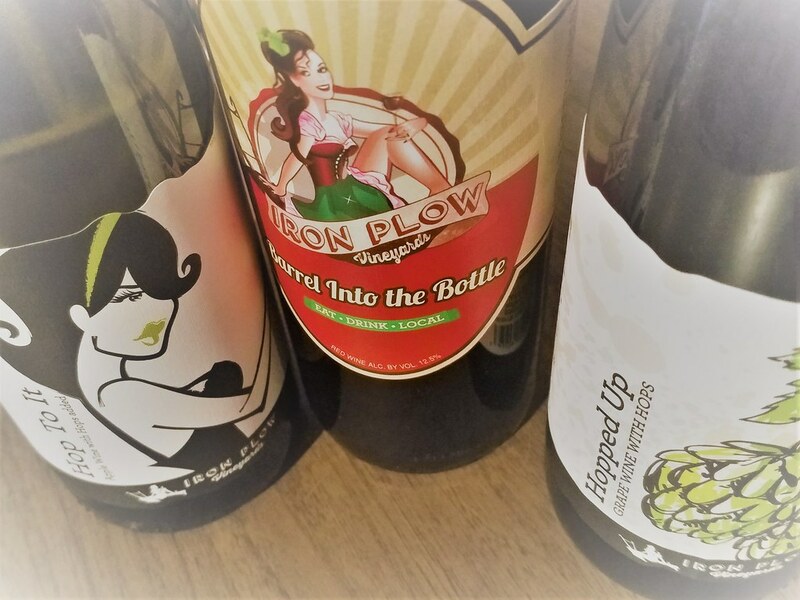 This time another red caught my eye, their “Barrel into the Bottle” a blend of Chambourcin & Leon Millot, however, it was their wines with hops added which really stood out. Not a beer fan in any way, I tried “Hopped Up” and “Hop to It” just to see what they were like. We left with a bottle of each. 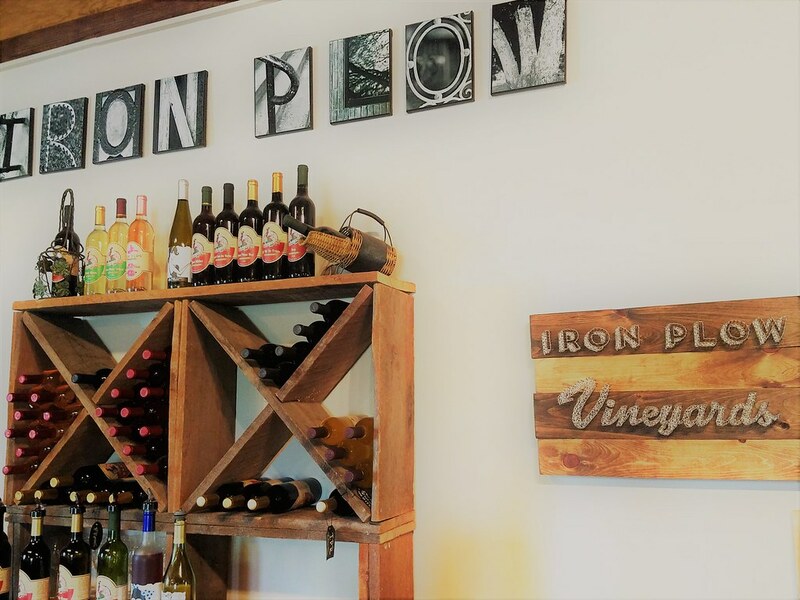 The flavors of Iron Plow Vineyard’s wines are so well developed and fulfill such a high standard of excellence where wine is concerned, it’s hard to believe they are so young. This can only be good news for me. I imagine, just like an aged bottle of wine, they will only grow better and better as the years press on.